Numerous studies have suggested that there are many benefits of intermittent fasting, such as weight and body fat loss, lower blood insulin, reversal of type 2 diabetes, increased energy, lower blood cholesterol and many other health benefits including cancer prevention and anti-aging. The problem is that it is difficult to do. Fasting requires a lot of self-discipline and may interfere with normal activities. Some people feel faint, exhausted and unable to go about their life. Fasting has also been shown to have some adverse effects for athletes, which makes sense given their need for increased energy. Personally, I have never even considered fasting prior to doing the ProLon Fasting Mimicking Diet Program. I exercise almost every day of the week and have a very healthy appetite. I never “forget” to eat or get headaches and feel dizzy, if too much time passes between meals. Last August, after reading about the ProLon program and evaluating all the research, I decided to give it a try. ProLon received the first-ever patent for anti-aging and I was really impressed with the amount of science behind the program’s creation. I ended up doing the program 3 times and will be doing it again in the next couple of weeks. It wasn’t easy but it wasn’t nearly as difficult as I expected. I felt hungry on days 3 and 5 when the calories are at their lowest but I did not experience any of the negative side effects that normally accompany hunger. In fact, I felt great the entire time and was able to exercise, work and take care of my family as I normally do. I did not experience any caffeine withdrawal or the mid-afternoon energy drop that I normally get. ProLon allows for herbal tea throughout the day but only one cup of coffee or caffeinated tea in the morning. My favorite part was not having to think about food for 5 days. Everything you need is neatly packed in one box and the only cooking you really have to do is heating up the dinner soup which has to be done on a stove top. I lost 4-5 pounds each time and reduced my body fat by 3%. Overall, it was a great experience. I was able to do something very beneficial for my health while feeling and looking great. This is a fantastic program for anyone looking to reset, feel good and maybe jumpstart weight loss. Contact us at 724.940.3499 to sign up for our ProLon Fasting Mimicking Diet or to acquire additional information. What are the Benefits of the ProLon Fasting Mimicking Diet? Numerous studies have suggested the benefits of intermittent fasting, such as weight and body fat loss, lower blood insulin, reversal of type 2 diabetes, increased energy, lower blood cholesterol and many other health benefits. Unfortunately, this type of diet has been shown to have some adverse effects for athletes. Athletes who follow an intermittent fasting diet often experience a diminished athletic performance and an increased fatigue and recovery time. That’s why many athletes are turning to the ProLon Fasting Mimicking diet (FMD). ProLon enables athletes to provide their body with all of the benefits of intermittent fasting while also significant improving their athletic performance. What is ProLon made of? All of the foods in the ProLon diet are comprised of all natural, plant-based ingredients including, fresh olives, vegetables, fruit, nuts, seeds, dark chocolate and herbal teas. The products do not include any additives or chemicals. This enables a person to nourish their body with the essential vitamins and amino acids the body needs. Can I follow a ProLon diet if I don’t have time to cook? This is the perfect plan for those who are busy since all the food for one day is packaged in one box. These convenient boxes include plant-based energy bars, soups, a variety of snacks, drinks and supplements. Do the ProLon foods taste good? All of the ProLon products were created by a collaboration between top chefs and food scientists. This means the foods not only taste good, but also incorporate the science of FMDs™. Can I lose weight on the ProLon diet? Yes, clinical studies published in Science Translational Medicine have reported that people who follow the ProLon diet have lost an average of 5 pounds of fat and 1.2 inches of waist circumference. In addition, they maintained their lean body mass. Interested in Elina’s Perspective on the ProLon Fasting Mimicking Diet? If you are interested in improving your health by following the ProLon Fasting Mimicking diet, please contact us at 724.940.3499 or info@turackchiro.com. Tagged Functional Fitness, Intermittent Fasting, Intermittent Fasting Diet, ProLon, ProLon DietLeave a Comment on What are the Benefits of the ProLon Fasting Mimicking Diet? Except during the summer months, the skin makes little if any vitamin D from the sun at latitudes above 37 degrees north or below 37 degrees south of the equator. People who live in these areas are at a greater risk for vitamin D deficiency and should take a supplement. Vitamin D is best known for its vital role in bone health. Without this “sunshine vitamin,” the body can’t absorb the calcium it ingests, so it steals calcium from bones, increasing the risk of osteoporosis and fractures. Vitamin D also helps maintain normal blood levels of phosphorus, another bone-building mineral. Vitamin D would be essential if it did nothing else, but researchers have discovered that it’s active in many tissues and cells besides bone and controls an enormous number of genes, including some associated with cancers, autoimmune disease, infection, and mood disorders. This delicious, effervescent, orange-flavored powder easily provides therapeutic dosing of vitamin C and bioflavonoids. Potassium bicarbonate is included in this formula as a buffering agent and to give it “fizz.” Also included are quercetin, hesperidin and rutin, which are all natural bioflavonoids found in citrus fruits. This is an ideal supplement to have on hand during the cold and flu season. Silvercillin™ Liquid is a highly effective antimicrobial composed of pure silver complexed with purified water. 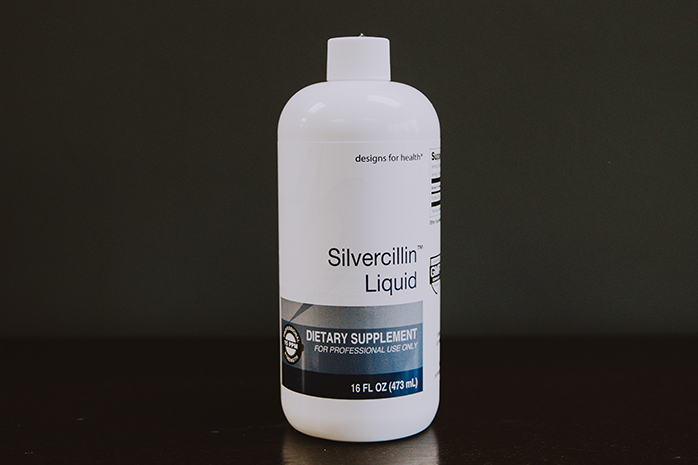 Silvercillin™ Liquid utilizes a technological breakthrough allowing for the production of a silver particle small enough to enter a single red blood cell, enabling the silver to travel through capillaries, the tiniest blood vessels in the body, and inactivate viruses at the cellular level. Also, Silvercillin™ Liquid uses technology that permanently distributes the mineral int the structure of the water, so it will not fall out of solution or suspension. 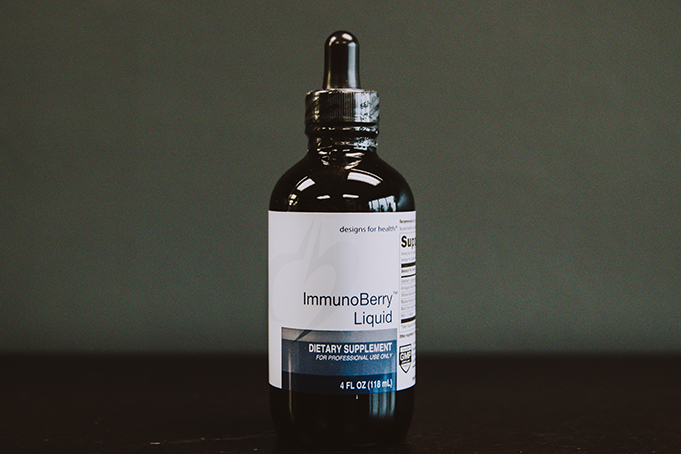 ImmunoBerry™ Liquid provides immune support in a pleasant tasting liquid. Research suggests that certain herbs, mushrooms, and other natural compounds have the ability to support normal immune functions such as natural killer (NK) cell activity, cytokine synthesis and the T-cell and B-cell mediated responses. 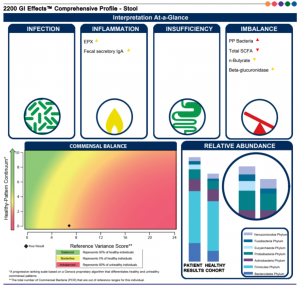 The ingredients such as Elderberry, Shittake and Wild Cherry Bark are known for their beneficial effects for maintaining a healthy immune system. ImmunoBerry™ Liquid is sweetened with glycerine and tastes great, and is ideal for both children and adults. Contact us at Turack Chiropractic and Performance Health, if you’re interested in learning more or purchasing some of our Fall Specials.